Minnesota Lynx are the best in the league, but are they the best in the state? In 2010 the minnesota Lynx became a force to be reckoned with. He's lucky that's a false statement as their missing the playoffs in 2010 was the reason they got Maya Moore. I don't understand the headline. Is he saying that because they have had WNBA success they should be more popular than the male sports teams? There are quite a few errors in the article. Anna Cruz does not play for Team USA, for one. For another, the University of Minnesota has had numerous national championships in hockey over the last 20+ years., with the Gopher Women's team being the most dominate team in the league since. like, ever. The NCAA has only has a women's championship since 2001, and the Gophers have won 6 of them and been the runner-up twice more (yes, out of 17 National Championship games, the Gophers have played in approximately half of them). This includes winning national championships 4 of the last five years, and coming in second in the remaining one. They also had an undefeated season, the only one in league history, as part of a 62 game winning streak (which is ridiculous in hockey were games can end in ties and a hot goaltender can single-handedly steal a game). So, no, as good as the Lynx are they are not the most dominate team in the state. But otherwise, I do agree with the sentiment! Most likely he was talking about pro teams. Then he needs to write that. She only played one game, but from Dec. 3 to Dec. 9, guard Alexis Jones is our Overseas Player of the Week. 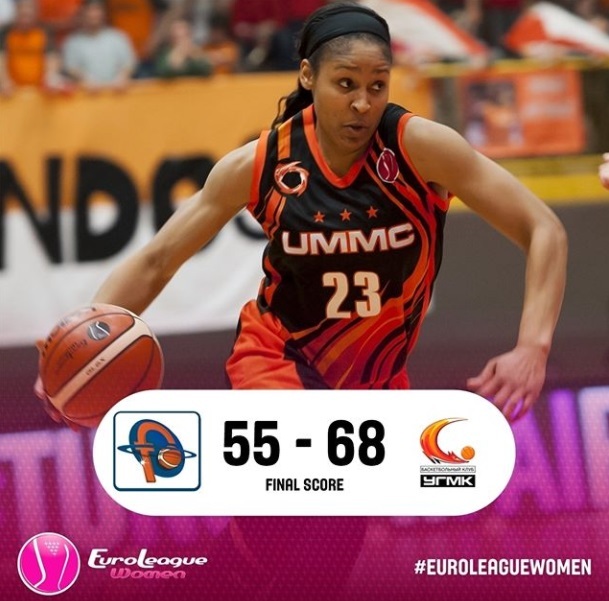 Jones’ played 39 minutes and 27 minutes is Al-Qazeres’ 88-76 overtime win over Lacturale Araski. She put up 29 points to go with seven assists, six rebounds, two blocks and a steal. Per #Lynx owner Glen Taylor: Two-year contract extension for Coach Cheryl Reeve, thru 2019 season. Well-deserved following fourth #WNBA title in 7 years. Not only that but we are keeping all of our assistants locked up and promoting Clare! Great news all around! Reeve as GM makes me a little nervous. She can be quite impulsive and it'd be wise if there is a balance of power in the decisions. Also, the point Cooper made is in play. You have to coach a player you may have negotiated down in contract negotiations. I wonder what happened to Griffith? I'm guessing he's still the executive vice president? Reeve must have negotiated the extra title. Can the Lynx win back-to-back WNBA titles and get their fifth overall championship in eight years? The Lynx have had odd-year magic working for them this decade, winning WNBA titles in 2011, 2013, 2015 and 2017. That means they won an impressive four championships in seven seasons. It also means, though, that a repeat championship is the one thing that has eluded them. Minnesota's veteran core should be focused and more than capable of adding one (ring) for the thumb in 2018. I feel like 2018 will be the final push for this current Lynx roster at another title. Does Perkins return(36 years old)? Replacing Perkins with a younger guard off the bench. Do they attempt to bring back Ting? I feel like 2018 will be the final push for this current Lynx roster at another title. People have been saying that for a few years now. Does Perkins return(36 years old)? I don't think age is really her biggest issue but rather her salary as a lightly used backup is too high. Can she stomach about a $10K/mo salary cut? If she can, maybe she'll be back. Megdal doesn't have her on his free agent list because he presumes she is retiring. Either he mixed her up with Pierson who announced her retirement, or he's guessing she's retiring but I haven't seen anything official about it. Looks like you got them mostly right. Brunson just turned 36 a few weeks ago, so you made her too old. Maya turns 29 during the season. Prime! Pierson retiring automatically makes them younger than last year, unless they get an old replacement. If Perkins leaves, that would make them relative pups. Replacing Perkins with a younger guard off the bench. Wouldn't mind Nurse (her stock is up though) or Wagner as a deep backup. Do they attempt to bring back Ting? I doubt it. They looked at her as more of a backup to the SF, and now they have Zandalasini for that role. The Lynx apparently still have the rights to that one guard that went pregnant on them. Elhtova, or something like that. She seems to be doing well now so she could be a possibility. Anna Cruz might still be an option. They got options. Now it's about finding the perfect one. Jones is big enough to play off the ball, so they could have both Montgomery and Jones as the main guard backups, and then either a draft pick or free agent in the 5th guard spot. Options. That's Whalen and Banham playing together on the Gophers practice squad. Thoughts and prayers to Andrew Jones, Alexis's brother, who has been diagnosed with leukemia. Shades, do you still want Banham to be with Lynx? The possibility is greater now with Montgomery gone. Banham for the Lynx's second round pick? Cruz.... Spanish national team member to help lure Torrens over. How do you know she'd lure Torrens over? Maya Moore, and a bunch of other USA National Team, on the Lynx hasn't helped us lure Tina Charles yet. 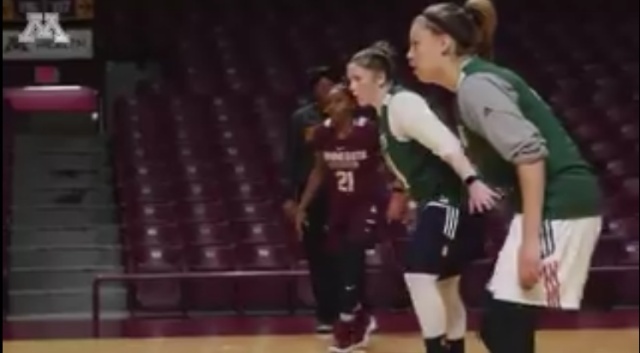 Montgomery's move to the Dream and the retirement of Jia Perkins means Lynx coach and General Manager Cheryl Reeve will need to replace her entire backup backcourt for the upcoming season, when Minnesota will try to repeat as league champions. This would seem to make Perkins’ retirement official. Reeve said Montgomery's big personality and veteran savvy will be missed. Montgomery, a West Virginia native who owns a home in Atlanta, wanted to play in a city closer to her family. "She can play both [guard] positions," Reeve said of Jones. "I'm excited for A.J. And she's excited. But I think she'll need help. Renee brought to the table a huge personality, a winners mentality. She knew what it took to win." Reeve would like to solve the team's need at guard before the draft. That market might make re-signing free agent forward Natasha Howard more of a challenge. Surely the Lynx will get something for Howard? First round pick? Chicago needs a PF that can start, they don't seem to want Deshields! !